While somewhat smaller and having an MSRP $200 lower than the Tonelab SE it replaced, the Tonelab LE retained nearly all of it's features. 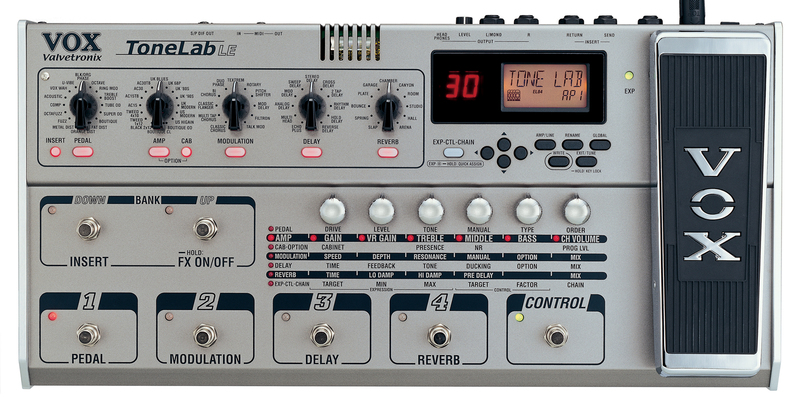 The list of amp models, cabinet simulators, effects pedals, modulators, delays and reverbs on the Tonelab LE was virtually identical to the Tonelab SE. While the Tonelab SE had two expression pedals, the Tonelab LE had one. The Tonelab LE received two significant upgrades over the prior Tonelab SE model. The program memory was increased from 96 to 120. A feature of the original Tonelab, the S/PDIF digital audio connector, also returned on the Tonelab LE. Dimensions and Weight: ~19.7" x ~9.8" x ~3.15" ~9.26 pounds.